Curren Environmental is a professional environmental remediation company that services the needs of commercial property owners. If the property owner has an underground heating oil tank that has leaked, Curren Environmental can supply the necessary equipment and manpower to remediate the area. After a tank release is confirmed Curren will assess the area of concern (AOC) by acquiring soil and groundwater samples from the property to determine the horizontal and vertical extent of a contaminant plume. The horizontal and vertical extent is the actual size of the contamination as measured by length x width x depth. This provides the physical area of the contamination, which is sometimes estimated in yards or cubic yards. After the delineation of the AOC is completed Curren will develop a Remedial Action Work (RAW) plan which details the work that is going to be performed and the methods to achieve State or Federal approval. 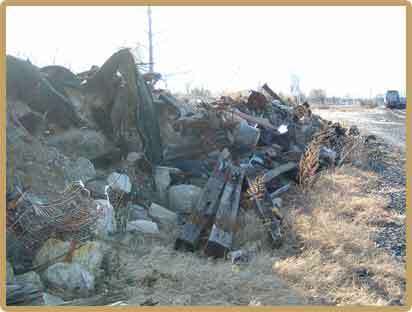 Curren will apply for all necessary local and state permits pertaining to the clean up process. Contingent on the level of remediation required and specific site conditions, Curren will post necessary notices to local and State agencies. When the remedial action work plan is approved by the governing body, Curren Environmental will set up a meeting with the commercial property owner to discuss the work that is going to be performed and answer any questions pertaining to the work. 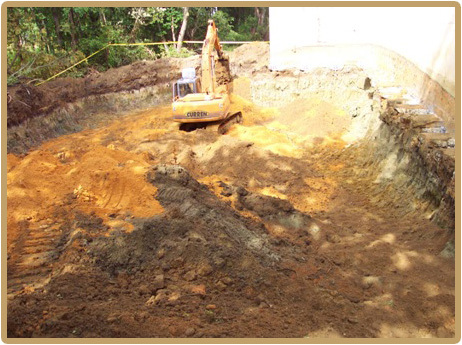 When the actual remediation starts Curren will remove all clean overburden soils, the contaminated soil and groundwater from the property will be removed and recycled at a certified facility. After the physical excavation, and any structural supports that are required, are installed Curren will ensure that appropriate post-excavation soil-samples are obtained. Once the post excavation soil samples have been field screened and all local inspections have been completed Curren will backfill the area with clean certified fill. During the backfilling the area will be compacted and broughtcommercial remediation services up the grade. On completion of the project Curren will assist in gathering the necessary information required to formulate a Remedial Action Report (RAR). The RAR will entail the scope of work performed, the soil and groundwater sampling results, the receipts for the contaminated soil disposal and the clean certified fill. This report will also make a recommendation of a No Further Action letter (NFA). Curren Environmental has been very successful in completing jobs on time and under budget for the simple reason that we have an "in house" remediation and helical pier division. The benefit of having both divisions in house is that we can tackle any obstacle that may arise during a project making Curren faster and more cost effective then other companies that rely on sub-contractors. In some cases where soil contamination is above applicable State or Federal levels, engineering controls may be used in lieu of implementing remedial activities. Engineering controls may consist of the placement of an impermeable barrier on top of and/or surrounding the soil contamination to prevent the contamination from migrating. The contamination becomes encapsulated on the site. In some cases buildings or parking lots are installed above the contamination. The building or paved parking area can act as an engineering control that will prevent the contamination from migrating. A deed restriction typically accompanies this form of remedial approach. Groundwater contamination can be passively remediate by proving that natural attenuation (natural degradation of the contamination) is occurring. The classification exemption area can be established once groundwater contamination is delineated (defined) and groundwater sampling data shows a declining trend in contaminant levels. Classification Exemption Area (CEA), provides public notice that groundwater on the site exceeds applicable groundwater Aquifer standards and that no potable water wells can be installed within the contaminant aquifer. It further establishes that while groundwater contamination is present on the site natural attenuation (degradation of contaminants) is occurring. The CEA requires an assortment of groundwater data including two years worth of quarterly groundwater data for the purpose of charting a degradation trend of the contaminants exceeding groundwater quality standards. A CEA is established for duration of time when it is expected that groundwater quality will be below applicable groundwater standards, at which time the wells can be sampled and the CEA removed from the site, if groundwater has naturally attenuated to below regulatory levels.